Surfing in Tahiti, riding shotgun with Sir Stirling Moss, or joining the studio audience of your favourite TV talent show has never been easier! These experiences might seem half a world away from whatever we call home, but dropping yourself into a fantasy scenario and taking part as if you were actually there is no longer the stuff of science fiction. 360 virtual reality is happening here and now. Cyberspace prophet William Gibson wrote about it, Hollywood tried to visualise it, and the world has dreamed about it for decades. But until recently, the technology couldn’t live up to the idea of virtual reality. That’s all changed with the arrival of ground-breaking hardware like the Oculus Rift headset (now part of the Facebook empire). Years of research has solved the teething problems that threatened to derail progress, including motion sickness and screen latency. If you’re still fuzzy on the details, we’re talking about head-mounted displays and compatible smartphones that show 3D stereoscopic images. Sensors in the headset track your movements and change the view accordingly for a 360-degree experience. 360 content can also be viewed online with no extra hardware – simply drag the mouse, move or touch the screen to explore. Suddenly, leading brands and media companies are competing to release their own VR and 360 video experiences with a new one arriving almost daily. Nearly every major consumer tech company is lining up a VR headset launch, and Deloitte say VR is on course for its first billion-dollar year: a niche technology is rapidly going mainstream. Sports broadcasters scored some early points with VR because they realised how bringing people closer to the action would strike a chord with fans. Unsurprisingly, brands weren’t far behind, and now the race is on to harness the commercial potential of VR. 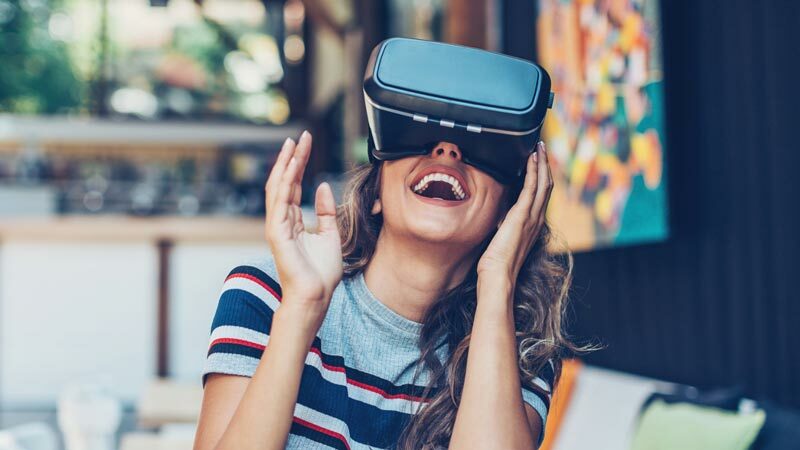 The prospect of forging deeper connections with consumers through VR storytelling represents uncharted waters that are there for the taking. Crucially, VR delivers the captive audience that businesses crave in our age of fragmented media experiences. So, what’s the catch? Well, it’s no secret that VR production is complex. With twelve or more cameras on a single rig and a vast amount of data to process, filming in 360 places entirely new demands on infrastructure and skills. Brands that overcome these obstacles can lay claim to the future. As always, our studio facilities are here to help - let us sweat the details while you create revolutionary content.